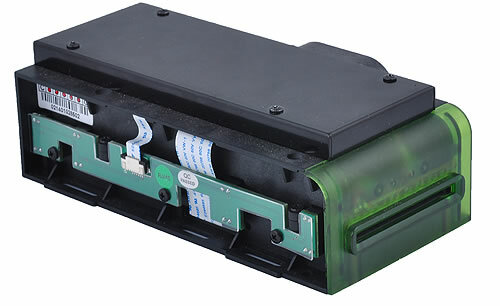 MTK-A6 Series motor Card reader is the compact hybrid motor card reader which supports Magnetic reading and IC/RFID Card reading&writing. MTK-A6 adopts wear-resistant and corrosion-resistant plastic for main body design, which provides high standard accurate control in manufacturing. Also, it minimizes Radio frequency interference and is more applicable for extreme conditions. MTK-A6 is a key part in self service terminals such as ATM, access control, car parking systems, AFC, etc. MTK-A6 Series Motorized Card Readers generally satisfy your application in various self service terminals. The machine is supplied with full support of communication protocol and relevant SDK for your quick deployment.